The Florida House of Representatives will summon UCF President Dale Whittaker, among others, to testify as part of an investigation into the decision to spend $38 million on Trevor Colbourn Hall. Former President John C. Hitt, former Board of Trustees Chairman Marcos Marchena, and former Chief Financial Officer Bill Merck are expected to testify during depositions at a later House committee meeting. The Public Integrity & Ethics Committee launched an investigation into how UCF could have spent tens of millions of dollars for new construction. 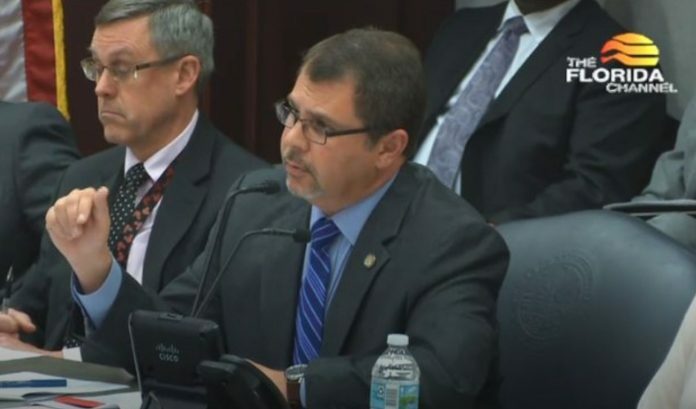 Chancellor of the State University System Marshall Criser presented in front of the Ethics Committee Wednesday afternoon and summarized the private investigation launched by UCF and the conclusions of the report. Criser claimed the four individuals knew of the E&G funds being used and the ramifications for their use, according to the presentation, contradicting the narrative posed by the Bryan Cave law firm which effectively cleared President Whittaker of wrongdoing. Florida House Public Integrity & Ethics Committee chair Rep. Tom Leek said UCF’s Board of Trustees sometimes “fails to appreciate the gravity of the situation they’re in.” Leek contrasted the seriousness of the Board of Governors in investigating the matter with the lack of attention shown by the Board of Trustees. “There was a report this week that I found particularly troubling: that the University of Central Florida General Counsel received advanced copies of the report and had the opportunity to provide substantive input on what the report would look like and say on the way before it was published,” Leek said, referring to records uncovered by Knight News. This is a developing story. Stay tuned with Knight News for more on the investigation.